Residential spray foam insulation is liquid polyurethane that forms into a solid, foam-like substance once it hits a solid surface. The liquid state allows it to penetrate fine cracks and holes in the surface that products like fiberglass can’t protect. 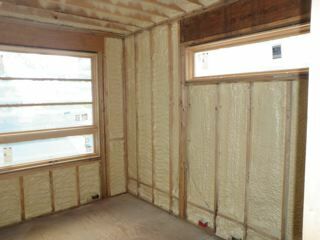 Since the entire surface area is sealed, it is much more energy efficient than any other material available. Atlanta spray foam insulation also discourages pests from burrowing into your home. The insulation is difficult to tear through, and it can be sprayed along cracks and openings to ensure that no uninvited guests attempt to slip inside of your home. You’ll no longer have to fumigate with dangerous pesticides. It can also help keep moisture out, and is excellent for preventing mold and water damage. If you’re looking for a professional Atlanta Residential Spray Foam Contractor, then give us a call today at 678-561-FOAM (678-561-3626) or complete our request estimate form.